You are here: Home » Forums » Re-introductions to foods » Diverticulitis starting again. Hi, I have recently been hospitalised with severe stomach pains, originally doctors thought it was my Gaul Bladder as the pain was around that area, and being a white western female who would typically suffer from Diverticula on the opposite side. It wasn’t until an ultrasound then a cat scan revealed I like most asians has diverticular on the side I was in absolute agony with.. They kept me in for a week on strong antibiotics I fasted for 24 hours and now I have to follow a low fibre 20grams a day, until all inflammation has gone. Will your family doctor or gastroenterologist refer you to a registered dietician? Please don’t make any major changes to your diet and lifestyle – inc. intermittent fasting – without consulting one of these health professionals (p.187). The starting point to improving your diet is the detailed food and symptom diary (p.187-188). Use this to track the balance and variety of your diet, as well as track your intake of the relevant forms indigestible carbohydrates (soluble fibre/ insoluble fibre/ resistant starch). These have different effects on the gut flora and on the gut lining. Wholefoods that help reduce inflammation include oily fish, low sugar fruits and non starchy vegetables. Different plant wholefoods – beans, lentils, seeds, nuts, grains, fruits, vegetables – contain different forms and amounts of different indigestible carbohydrates/ fibres. Various animal wholefoods are fibre free but contain other gut friendly nutrients, for example whole organic eggs, live fermented dairy, oily fish, other seafood esp. molluscs, organ meats. Websites like Self Nutrition Data allow you to adjust the serving size and compare the nutrients in different wholefoods from each food group. How you ‘process’ your food affects how digestible or gut friendly it is. Cooking, cooling, blending, sieving and chewing are all relevant. Potatoes and rice have more resistant starch when cooked and cooled (p.268-269); blending and sieving the seeds from berries/ currants allows you to benefit from the phytonutrients (p.120-122). Don’t juice fruit and veggies: many of healthy compounds are in the pulp and skins. Hello, I have been religiously following the good guts diet and making my on sauerkraut etc. Unfortunately it does not agree with the diverticulitis I have discovered much to my horror as I was really enjoying it and felt better – but the fact is I ended up in hospital again with the threat of having a major operation to cut out the bad bit of my gut that is infected. I don’t want to do this and so I am trying hard to find the right foods and ways of introducing good bacteria into my gut as well as eating healthily. I was hoping that there might be someone who is doing some trials on how to help people like us but am not sure how to go about finding them. I do empathise with you. It was a shock to read of the 11 most foods to avoid which included a lot of foods that are ‘good’ for us. I still feed my family the good guts diet but at present on slops myself until I get over this latest bout. Hi there, i’m Sorry to hear you were hospitalised, was this the first hospital visit you have had? How long have you been living with Diverticulitis? Well on sat it will have been two weeks of baby food or slop as you very well described and i’m Scarily going to start to introduce my original diet back into my life, my dietitian has advised to eat high fibre consisting of seeds nuts ect and I shouldn’t have to exclude anything I’ve eaten before.. But speaking to a friend who also suffers from it says NO WAY and reeled of a long list of foods to avoid..
I’m confused and like you I would really like to know what’s best..
Hi I have it for some time but this is the first hospitalisation. I have done a great deal of research into this and recent studies show that one shouldn’t be given antibiotics and that apparently it is okay to eat seeds and nuts etc – A really good web site I found listed the 11 most important food to avoid in order to prevent it being inflamed again as these foods antagonise the condition. These foods are:spicy food, broccoli, beans, cabbage, corn, dairy, peppers, fermented foods, onions and garlic, lentils, whole grains and chick peas. You also need a good probiotic to replace the damaged and destroyed good bacteria that the antibiotics kill off. Following the sloppy food after an attack you need to eat starchy bland food and no skins for a while. This of course goes against all we now know that we need to eat for good guts – but as I understand it one can gradually introduce high fibre via foods that are not on the list above. I am speaking with my nutritionist on Thursday who is pretty expert in this field so will get back to you if I get any better information. It is a minefield out there of what to do and what not to do. I’m trying to avoid surgery as the surgeon in the hospital has suggested that I have elective surgery to cut out the bad part of the bowel that contains the defected pockets. That in itself is an horrific idea! So I am doing all I can to avoid that scenario. I hope you are feeling better now – as far as nuts and seeds are concerned I think it is your body that will tell you what you can tolerate. I know that I get a flair up in the strawberry season and they have very tiny little seeds – so no more stars for me. But I’m not so sure that nuts a re a problem and they are very good for you too. Yes let’s keep in touch, I am yet to have a follow up appointment with the doctor from the hospital, I think he is a surgeon so will see what he recommends. I’m very worried I will end up in hospital again with two children one just 5 months old it isn’t an ideal situation. I hope you can get home from hospital soon. Here’s to a quick recovery . 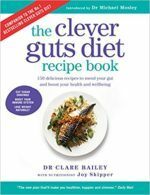 I have had an amazing consultation with Amanda Whitewood (her web site is Absolute Nutrition ) and she has explained precisely why I have been getting recurrence of diverticulitis – and if like me you too have been following the good guts diet then we have inadvertently aggravated the condition. Unfortunately the high fibre non-soluble type that is prevalent in this diet is like a scouring pad on our gut and causes rather than defuses the inflammation. I want to avoid surgery at all costs and it shouldn’t be necessary if I follow the prescribed diet (which does include getting in good pro and pre biotics like the good guts diet suggests) and also the supplements to aids healing. I could tell you all she told me and give you the prescribed do’s and don’t’s as to what to eat – but I think you should consult her yourself as your body will be different to mine and there may be something else that needs to be supported for you. She did my consultation via FaceTime as she was in Spain at the time and I was desperate – I know that she would be willing to do the same for other people. Anyhow – I trust her -she isn’t a gung ho knife wielding surgeon but a highly qualified science based nutritionist who has worked in the field of medicine (oncology and women’s issues) for many years and lectures around the world. Since following her advise my pain has gone (touch wood) and I am feeling so much better. I do trust Michael Mosley’s research and advise and my family are following it all, but what people with diverticular issues have to do is avoid some of the things he recommends as we cannot tolerate it. I wish he’d look into diverticulitis and try and help the millions who suffer from it and who end up having surgery when it could be avoided. Amanda’s email is amandawhitewood@googlemail.co if you want to email her and ask her anything about how she can help you and / or you can go to her website. Keep in touch – I am going back to the hospital on Wednesday for a check up and consultation about surgery … I’ll let you know.